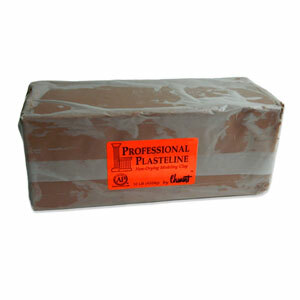 Preferred by professional sculptors, Plastilina (also referred to as plasteline, plasticium, and plasticine) is an oil- and wax-based clay modeling material. 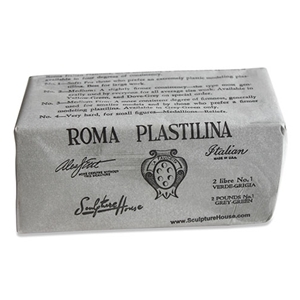 Permanently pliable because of its wax and oil ingredients, Plastilina is used as a modeling material only and cannot be fired in any way. 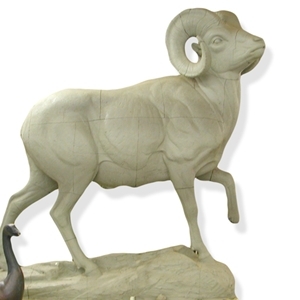 In addition, the material cannot be made permanent; therefore, if you are looking to reproduce your piece, be prepared to make a mold and cast of the piece. 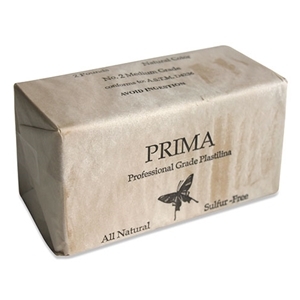 Professional Grade – this pliable clay commonly contains sulfur in order to make a smoother, more homogeneous texture. 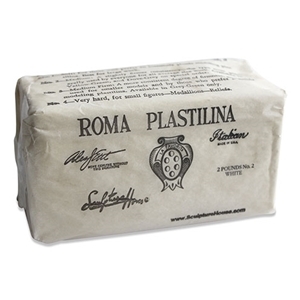 Our popular ROMA Plastilina® is one. 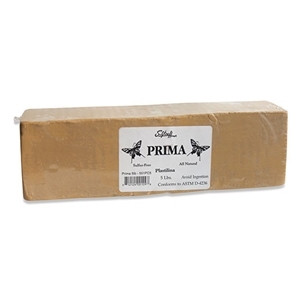 However, in response to the demand for a non-sulfur professional grade Plastilina, Sculpture House developed PRIMA® Plastilina. 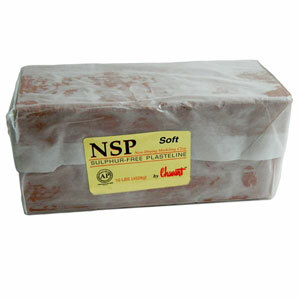 School Grade – also known as amateur- grade plastilina and does not contain sulfur. Frequently used for Claymation and advertising. 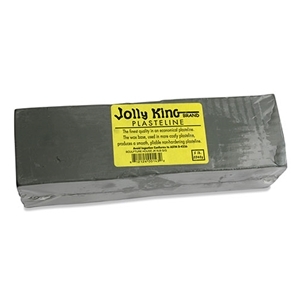 Industrial Grade – very hard modeling plastilina that is used by designers in the auto motive field. It is typically not available to the retail customer. Some Plastilina contains sulfur and some do not. 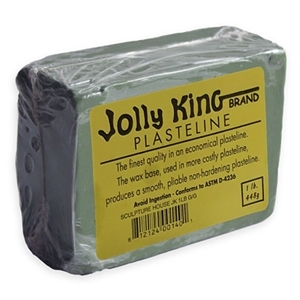 The sulfur gives the Plastilina that extra smoothness and flowing ability that professional sculptors did and still do require in their clay. Due to the wide variety of new and advanced mold making compounds, such as Silicone and Platinum Silicone, please note that some of these mold making compounds may contain chemicals that may not be compatible with sulfur. 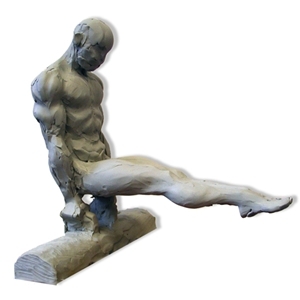 To avoid any complications with the mold making and casting process we suggest that you apply, either by brushing or spraying, a thin coat of separator to the clay model first. For example, you can use a crystal clear aerosol spray or shellac cut 50/50 with denatured alcohol. With this step, you should be able to avoid the adverse reactions to some of the chemicals in the mold making ingredients. 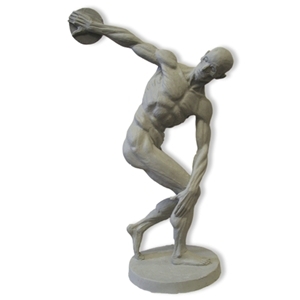 Manufactured here in the US, Sculpture House offers both Professional Grade Plastilina (ROMA® and PRIMA®) as well as School Grade Plastilina (Jolly King® Plasteline) for the consumer.